Ben is the Chief Executive Officer of Arnold Companies, which owns, develops, leases and manages office, warehouse and retail space in South Carolina, North Carolina and Tennessee. 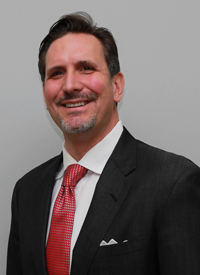 Ben has extensive experience in commercial real estate development, property tax assessment, and real estate finance. He received his Certified Commercial Investment Member (CCIM) designation in 1996 and was a licensed real estate appraiser in South Carolina and Georgia. He is the former Chairman of the Richland County Board of Assessment Control and is a graduate of the University of Florida. Shelly Little joined Arnold Companies in November 2011. Bringing over 14 years of property management experience to Arnold Companies, Shelly is the Chief Operating Officer & Broker In Charge. She has a diverse background and experience including Retail, Office and Healthcare Property Management. 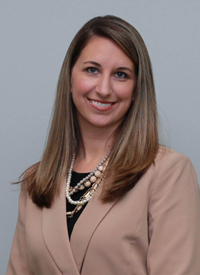 She is responsible for overseeing all aspects of the company, to include property managers, maintenance personnel, leasing, and project management for all the Arnold Companies properties in the Southeast. Before joining Arnold Companies, Shelly spent seven years in healthcare building management and five years in residential, student housing and multi-family property management. Mark is a proven leader with over 30 years of experience in the commercial and residential real estate, property management, luxury hospitality and senior living industries. He brings an exceptional wealth of knowledge, insight, compassion, and focus to his role as CFO. His extensive background in managing finance and operations, business planning, and financial strategy leads to more efficient teams, improved financial processes, enhanced organizational development and stronger financial results. Mark received his Bachelor of Science degree in Business Administration from James Madison University. Sharlean Adams-Wigfall joined the Arnold Companies family in January 2014. 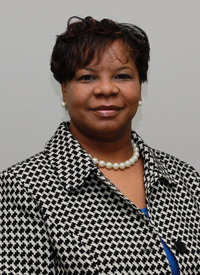 She is a graduate of Midlands Technical College with an Associates Degree in Accounting. She brings 21 years experience in property management accounting from the healthcare field. She also spent 5 years in the banking industry. Sharlean has one son. Kimberly Klosterman joined the Arnold Companies in April 2015. Kimberly brings over 14 years of administrative and marketing experience from the commercial real estate field to the Arnold Companies. Kimberly is responsible for the company's marketing and advertising, as well as the branding for new development projects. She is a licensed property manager in the state of South Carolina. She also serves as Arnold Companies' Office Manager, maintaining all contracts for the company. She is a current board member of CREW Midlands. 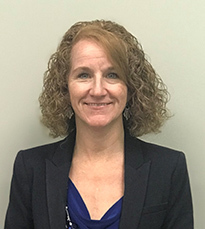 Sheryle Lohbush joined the Arnold Companies in April 2018, and brings over 12 years of commercial leasing and property management experience from the commercial real estate field to the Arnold Companies. Sheryle is responsible for the company's Property Management and Leasing, and is a licensed property manager in the State of South Carolina. Before joining Arnold Companies, she worked for the State of Connecticut, Department of Administrative Services, facilitating commercial real estate needs for various State agencies. Sheryle handled over 1.75 million square feet of commercial leased space throughout the State of Connecticut. Jason joined the Arnold Companies in 2014. He brings 13 years of experience in general contracting and also has experience in maintenance with healthcare services. For the past 15 years Jason has been coaching baseball in his spare time. He also enjoys spending time with his wife and 4 children. Travis has been with the Arnold Company since 2014. He brings 12 years of experience in general contracting, along with a background in drywall finishing and HVAC maintenance. In his free time, Travis enjoys outdoor activities, sports, and spending time with friends and family. Ben Arnold, Ben D. Arnold’s grandfather who he is named after, started the family business in 1907 at the young age of 14. He worked his way from selling candy, cigars and the Wall Street Journal on a ferryboat in Florida to starting a liquor-distribution business in Columbia, SC, right after the end of Prohibition in 1933. Ben’s son, Norman J. Arnold, built the liquor-distribution business into the largest wholesaler in South Carolina before he sold it in 1984 and left the business 10 years later. Grandson, Ben D. Arnold, jumped onto the entrepreneurial bandwagon while attending the University of Florida. After interning with a Real Estate Developer, Ben decided that was the career for him, and he obtained a degree in finance and real estate. After graduating in1989, Ben worked for a national firm for one year before setting up his own property-tax consulting service in Atlanta. Ben’s business, which he ran out of his apartment and started with a 286 laptop, grew to the point that the company was handling tax appeals on $1 billion in assessed value of commercial and residential real estate throughout the Southeast in 1992 and 1993. Ben Arnold’s experience proved vital and instrumental in growing the family business. He used his hard-won expertise to buy property, in partnership with his father, Norman. 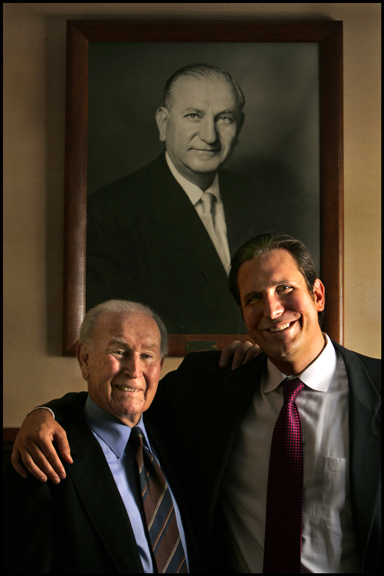 Norman and Ben created the Arnold Family Corp. property-development and management company in 1994, followed by the Arnold Construction Corp. in 1995.